Business blogging is one of the best ways to market your business online. 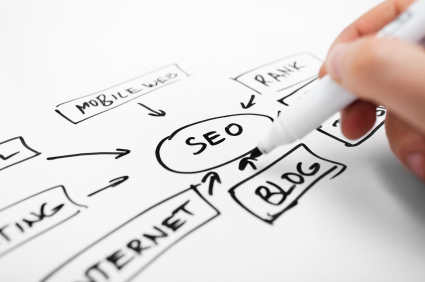 It keeps your website content fresh, so the search engines can find you. It also keeps your visitors coming back to your website. But unless you are keen on writing, it can be one of those jobs that stays at the bottom of the “to do” list … and having a stale blog is almost worse than having no blog at all. As The Proof Fairy I offer a range of business blogging services. Whether you need the occasional blog post, ongoing blog maintenance or a blog built from scratch, I can help you. Email me now for more information on blogging packages or read on for more information. So what are the benefits of business blogging? In 2009 internet marketing company Hubspot surveyed its clients to find out how having a blog affected visitor numbers. They monitored the traffic to around 1500 websites – half had blogs, half didn’t. So those companies that use business blogging as a marketing tool are in a far stronger position than those that don’t – which poses the question: Can you really afford NOT to blog for YOUR business? The most important thing about blogs is that you need to post articles regularly – once a week at least, or even several times a week if you can. If you’re short of time or ideas send me a list of keywords, topics or issues that you would like to blog about. I’ll research the topics and send you original, well-written articles of around 400-600 words, based around your chosen topics. Contact me today to discuss your requirements, and to find out about my money-saving blog post package deals. Call me on 01367 888229 or email me. If you already have a blog, but don’t have the time to keep it up to date, I can help. For a fixed monthly fee I will write at least four blog posts each month, upload them to your blog and promote them via your social media network. I’ll also do any general maintenance tasks such as updating your version of WordPress and backing up your blog, where possible. Email me now, or call me on 01367 888229 to discuss your blog maintenance requirements. If you want to start using blogging as a marketing tool but don’t yet have a blog, the start-up package is perfect for you. For a low setup cost and a small monthly fee, The Proof Fairy will magic away all the hassle of blogging! Of course, you will have overall control of the blog – you’ll be able to add to it whenever you wish, and will have final approval of everything before it is published. Don’t even have a website?! At a fraction of the cost that most web designers charge, I can build you a website and integrated blog from scratch, using the WordPress platform. Have a look at the low cost web design page for more details. Please contact me if you have any other copywriting needs, especially if you require info-driven material for your website, leaflets, brochures and other media. Whilst I don’t personally offer sales copywriting or PR, I have a big network of copywriters and will be able to refer to you the right person for the job! Email me today to discuss your requirements. You can also see some examples of my work in the portfolio.